Hi All, I have a 6 year old daughter. I hate to sound like a pushy parent, but I've heard that coding in the new skill for kids' future. Is 6 too young to get started? What's the best way to learn at that age? If you aren't being pushy (keep it fun and something the kid wants to try, not a chore-to-be-done because "you must learn how to code!") then six isn't too young. There are other such building-block languages (literally?) and platforms (I've yet to get my hands on a BBC Micro:bit but if you can then it's maybe worth a look), but the other opportunities in a Pi seem to make it versatile enough that what little you spend on it won't go to waste if you daughter can't/won't code yet/ever, and 'forces' you to turn it into a media-server or something else for which there's various pre-prepared builds for. There are also a few board games that are pre-coding, like Robot Turtles. We don't know if they work. Hi, I also have a six year old child. 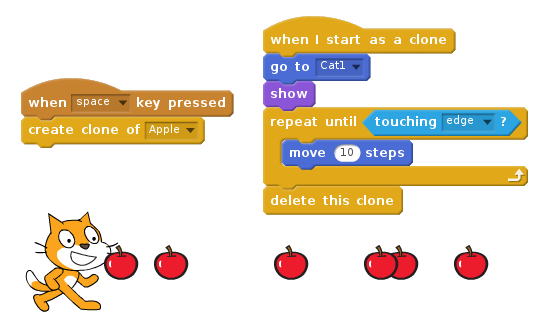 I'm not such a fan of Scratch: it's too free-form for me. I prefer something like Tynker where I have clear objectives that get progressively more complex. badaza wrote: I'm not such a fan of Scratch: it's too free-form for me. I prefer something like Tynker where I have clear objectives that get progressively more complex. No problem! For older kids (or adults), Code Combat can be fun too. It requires typing the commands out, though. Tynker has tablet apps and the iOS one works just fine on my iPad 2 (the 7-year old model, not a newer one). Not sure if that's available outside the iPad world, but I spent not a little time with Gladiabots (gateway timing out for me, but it's a link that might work when you check it), myself, a bit unstable on my Android (ironically?) and maybe a bit combat-focussed but boy does it get you thinking about how to design multithreadedly! "If I'm a sniper and I'm not within medium range of any enemy or resource and there is no Heavy member (left?) on my team and there's no Sniper (left?) on the opposing team then maybe it's my duty to Group Tag the enemy bot that is closest to a Resource but not retreating so that it becomes a current priority for (any surviving) team-mates…", or whatever the tangled web you care to weave. I'd hesitate to suggest it for a 6yo (though not sure they wouldn't pick up some interesting ideas in it, beyond anything you'd imagine) but I thought it worth a mention. Lightbot is a nice coding game that gradually introduced symbols like arrows and springs for directing the robot around. In addition to the old flash version, I found that it's also on iPad, Android, and Amazon tablets. When my nephew came over recently, I showed loaded it up on his, and he did pretty well once I navigated to the first level for him and skipped past the text. I'll have to see if he's played it any more when I see him again. Another thing that might be interesting is IBNIZ, which isn't really made for education, but is easy enough to play around with: The command are mostly just single characters which acts on the virtual machine's stack, which gets output as audio/video as the whole program gets ran each time step. Getting specific results out if it isn't simple, but if you/your child happens to think that making mostly weird electronic noises and glitchy flashing images by trail and error is their idea of a good time, it's a very simple and responsive medium for that! Regular bytebeat can also be fun, but is more prone to throwing syntax errors instead of just rolling with whatever you throw at it best it can. Glitch Machine for iOS (not to be confused with any apps made by the company Glitch Machines) is something I haven't tried myself, but looks like it's also pretty simple with an assigned button for each command. I dont know much about coding. But he seems very serious about his programming studies. Obviously (or so I hope) your nephew will know more about the range and focus of his studies than you do, and likely have led themselves up to the point of C++ via other more starting-friendly languages. And will probably find use for both ends of that particular spectrum of knowledge, anyway. As someone who started their programming career learning C++, I must earnestly, in the strongest terms possible, encourage anyone to not learn C++. As a starter language, or as any language if you can help it. For the things that C++ is good at, Rust can these days do nearly all of it but vastly safer (and for the very few things that you can't do well in Rust, they're not beginner concepts). The set of things you need C++/Rust/etc for is pretty small; for all the rest of stuff, use JS/Node or Python or Go or something. They'll all do you better. For WebDev, definitely learn JS, it's the most important thing.